A test rail will be operated on the newly constructed Matara-Beliatta railway line on January 6 to test the operations aspects of the railway line under the patronage of Transport and Civil aviation Minister Arjuna Ranathunga. 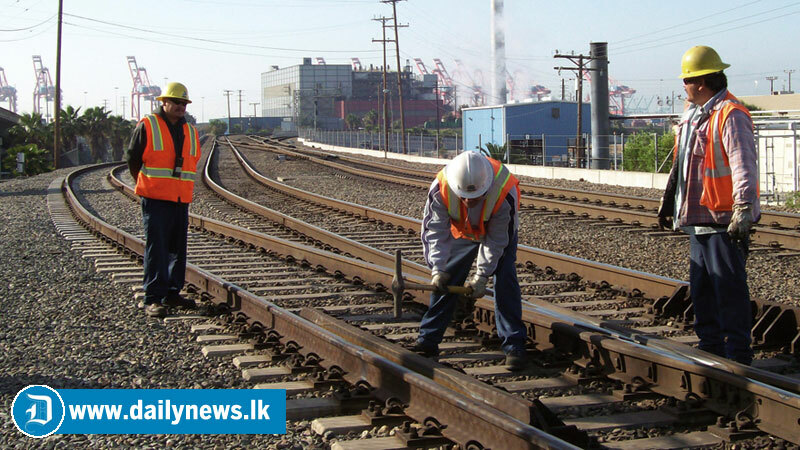 The Matara-Kataragama railway line project is being carried out in three stages. Under the first stage, 26.75 km long stretch between Matara and Beliatta has already been completed . It will be vested with the public shortly. The second phase of the project is the 48 kilometre stretch of track from Beliatta to Hambantota and in the third phase, the track will be extended by another 39 kilometres from Hambantota to Kataragama. The railway project, funded by a $ 278 million loan from China EXIM Bank, is being built by the China National Machinery Import and Export Corporation (CMC) and China Railway Services Company under the supervision of Central Engineering Consultancy Bureau. The main railway stations have been constructed at Kekunadura, Bambarenda, Wewrukannala and Beliatta while there were also two other sub stations at Piladuwa and Veherahena along the new railway track. This is the most modern railway line in Sri Lanka where a train can operate at a speed limit of 120 kmph. The main railway station at Beliatta is 300 metres in length. Underground tunnels have been made for passengers instead of overpasses to move across the platforms of the station. Sri Lanka’s longest rail tunnel has been built on this line from Naakuttigama to Kekanadura railway station. It is 615 metres in length. Meanwhile a 268 metre long tunnel has been built at Bambarenda along this rail track.